The Awakening Aeon Tarot is for You, a seeker of Truth and Understanding. 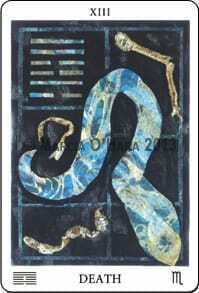 This deck is rooted in Metaphysical Qabalistic symbolism, Ancient Egyptian imagery, Astrology and the I Ching. 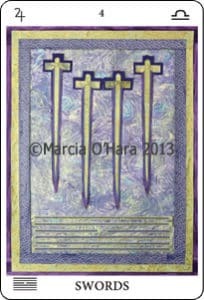 The Tarot can offer sign posts and advice to evolving souls. 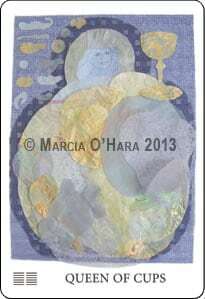 It can be done through a formal Tarot spread with many cards or a single card for guidance or inspiration. I created the Awakening Aeon Tarot because we are now in the Aquarian Age and things are very different spiritually than they have been in the past. 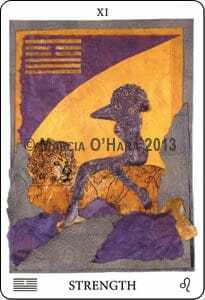 I feel the Tarot decks I have used for many years don’t address the new spiritual energy that is here. Though the Awakening Aeon Tarot has a traditional format and symbology, it is different in that it considers that each card contains both positive and negative aspects of a concept. There are no “good” or “bad” cards; the spirit of the situation decides which aspects of the concept are relevant. I have also added four cards to the traditional set. These four cards represent Spiritual energies and messages that I feel are important to the New Age. The accompanying booklet by Ingrid Coffin reads more as poetry than a directive. 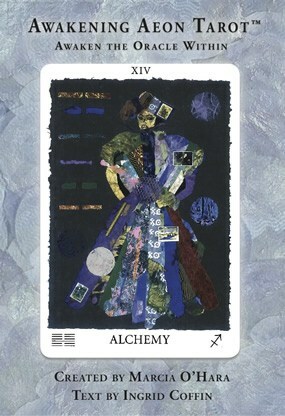 The Tarot reader can “soak up” the writing while allowing herself (himself) to really see the card it relates to. In this way, everyone is a “reader”…no training required.